Whether it’s an 18th, 21st , 80th or any Birthday you want to celebrate in style, magic can add a wow factor to your event. 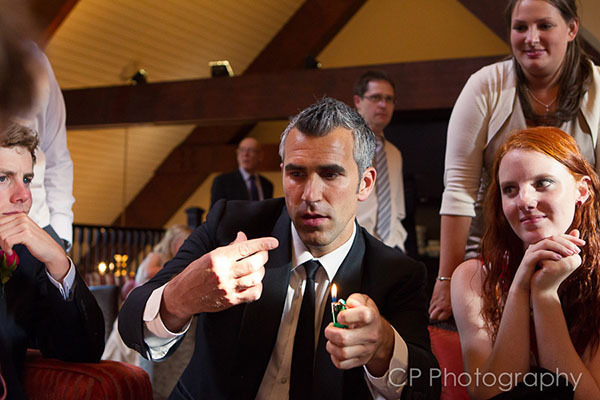 Close up magic works well at Birthday parties whether you’re having a big bash at a particular venue or at your home. 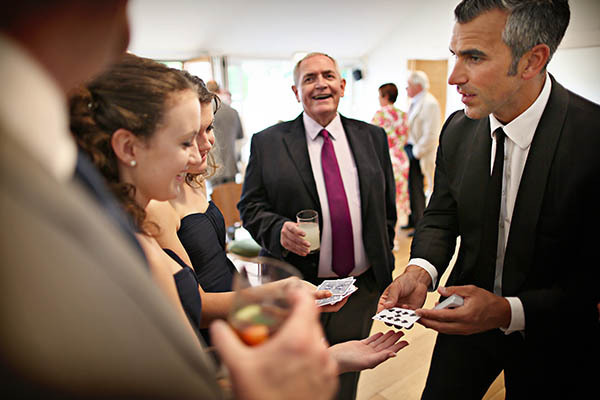 Mix and mingle magic adds to the excitement of an event and gives guests plenty to talk about throughout the evening. Depending on what you’ve planned for your celebration, magic can be used as an ice-breaker at the start of the night around drinks and nibbles. Or if you’re having a sit down event table magic works well as guests are waiting for food or between courses or as something special over coffee at the end of the meal. Guy is very used to working with a wide range of ages and understands how to pitch his performance so that the magic is appreciated by all ages. If you’re interested in using a magician for your upcoming Birthday and would like any advice on the best times to use Guy please do get in touch and he will be very happy to help. “Thank you so much for your complete brilliance last night – every single person at the party has been raving about you – it was just all so good, and you made the party! Bookings can be made for a minimum of 1 hour, please contact Guy for advice on the appropriate amount of time for the number of guests attending. Mix and mingle magic and table magic. Free showcase offered if required. Bookings now being taken, please note booking in advance for Fridays, Saturdays and Sunday’s recommended.